My SIL, Grace, gave me all the bunnies as gifts on Easters past. Beautiful gift for Easter :)! Oh, very nice. Love bunnies. What a great Easter centerpiece. And Ilove your daffodils. What a wonderful table! 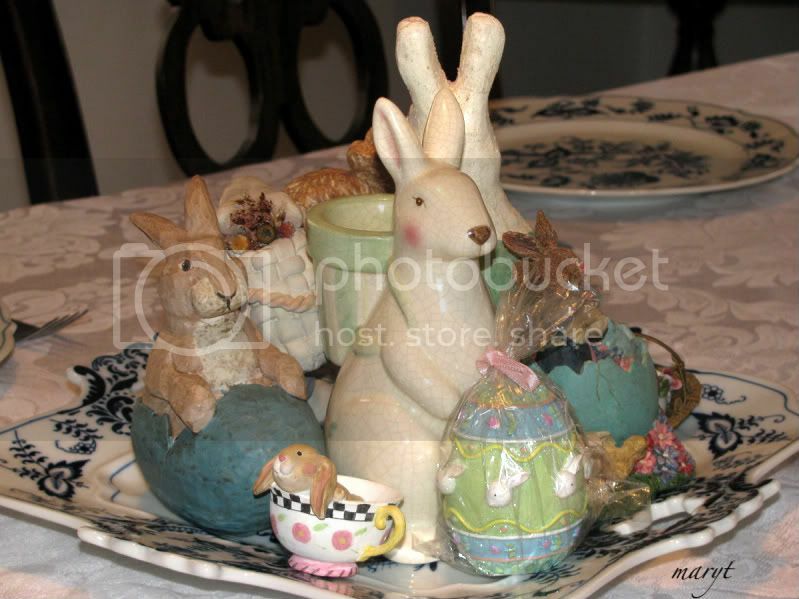 The bunnies makes such an adorable little centerpiece! 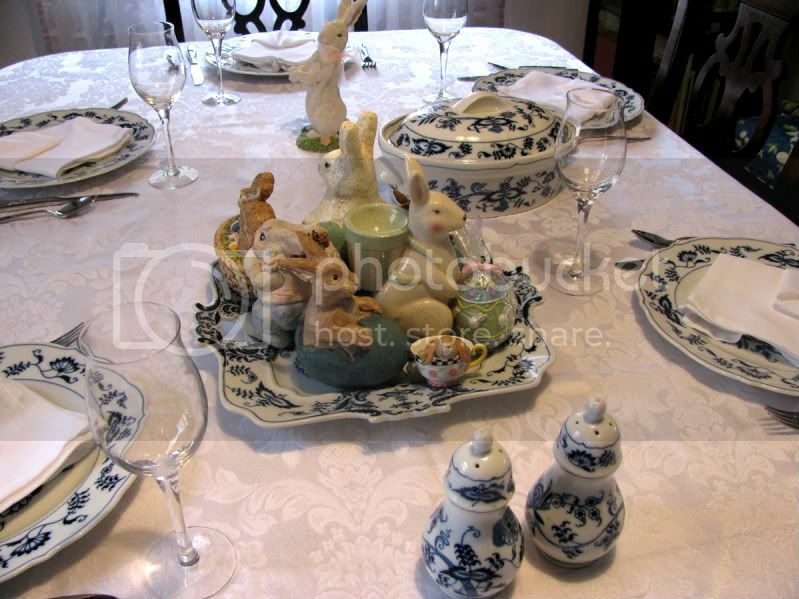 The rabbits add the magical touch of Easter beautifully as well! Absolutely beautiful Mary!!! May your Easter be blessed with many guests and that your day be filled with laughter and tranquility. Those are cute Easter ornaments.